It’s been a headline-making three-week ramp-up to the vote for the National Baseball Hall of Fame. 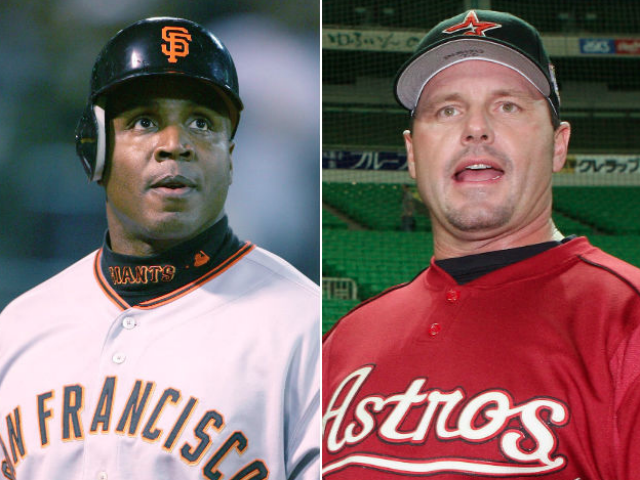 Much of it was occasioned by a letter from former Reds great Joe Morgan (vice chairman of the Hall of Fame), saying that Barry Bonds and Roger Clemens should not be elected to Cooperstown because of the taint of steroids. I admire Morgan’s courage in stepping forward and attempting to make a difference in the debate. His entry into the fray doesn’t sway my vote, because I’ve never and won’t ever vote for either of them, for all the reasons Morgan cited. If that happens, it would be huge blow to baseball and to the Hall of Fame. I, and many others, consider it to be the best part of the day, on arguably one of the four greatest days for baseball every year, along with Opening Day, the All-Star Game and the start of the World Series. But I’ve also heard from some people in the know who say that many of the ‘Famers would likely cave on that threat, and perhaps do the equivalent of “taking a knee,” whether it be wearing a black armband or some sort of stickpin to symbolize their protest and solidarity. I have more faith in the ’Famers than that. I believe most of them won’t show up. But two things I know with absolute certainty: If Bonds and Clemens are elected, Morgan won’t show up and I will no longer vote for the Hall of Fame, an honor and privilege I have cherished since my first voting year in 1994. Last year, Bonds and Clemens received 53.8 percent and 54.1 percent, respectively, in their fifth year on the ballot. That's a steady climb from the 36.2 and 37.6 percent, respectively, that they received in their first year in 2013. Barry Bonds and Roger Clemens. Seventy-five percent or more is needed for election, and the player has 10 years on the ballot to get it. That means after this year, Bonds and Clemens have four tries left. I know the attitudes of many of my fellow Hall of Fame voters, be it personally or from what they’ve written, and I think it’s going to be a race to the wire -- either just-in or just-out by 2022. I predict some pretty intense drama. The players elected and all the voting tallies for the 33 players will be announced on Jan. 24. Some of my fellow scribes have said they expect Bonds and Clemens to keep climbing this year, and pass the 60 percent threshold. I hope they plateau, and don’t make it into the 60s, but I just don’t know. But enough of Bonds and Clemens. Here’s who I’m voting for this year: Chipper Jones, Jim Thome, Vladimir Guerrero, Curt Schilling, Mike Mussina, Fred McGriff, Larry Walker, Edgar Martinez and yes, Scott Rolen, the only one of them to log any time with the Reds. Of those, I think Jones and Thome will be elected in their first year on the ballot, as will ballot holdovers Trevor Hoffman (third year on the ballot) and Guerrero (second year). Hoffman climbed to 74 percent last year, Guerrero to 71.7 percent. If that all happens, it’s going to make for a big day in Cooperstown in late July and a lot of work for Cincinnati sculptor Tom Tsuchiya (he’s been sculpting the images on the plaques since 2016), because the veterans’ committee had already elected Alan Trammell and Jack Morris last week. I was personally disappointed the committee didn’t get to consider former Reds great Davey Concepcion on their crowded and worthy 10-person ballot. Concepcion didn’t emerge from the screening committee’s consideration. Most Reds fans, especially those who got to see him play, want Concepcion enshrined, and feel his case was made better by the election of Trammel, a shortstop for the Detroit Tigers led by the late manager Sparky Anderson, the Hall of Fame skipper of the Big Red Machine. That’s the team for whom Concepcion played. 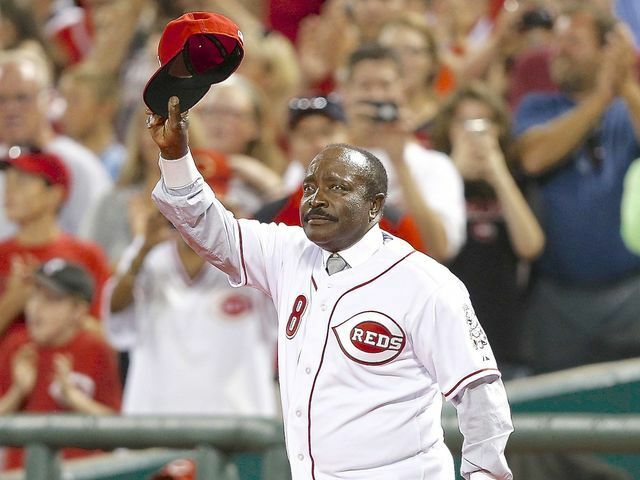 He was a vital part of the up-the-middle Gold Glove defense of second baseman Morgan, catcher Johnny Bench and center fielder Cesar Geronimo. I don’t believe Trammell’s election opens any doors for Concepcion, even though I think he’s being slighted. I voted for him since his first year on the ballot in 1994. I believe Concepcion’s been hurt by two things: 1. the electors feeling the Big Red Machine has enough players in the Hall (Bench, Morgan, Anderson and Tony Perez, and -- had he not bet on baseball -- Pete Rose), and 2. the fact the Concepcion was overshadowed in his era by Ozzie Smith, and then in the subsequent eras by bigger-hitting shortstops Cal Ripken, Robin Yount, Alex Rodriguez, the Reds’ Barry Larkin and Derek Jeter. Sometimes one's consideration for Cooperstown is greatly affected by timing, and Concepcion is yet another victim. 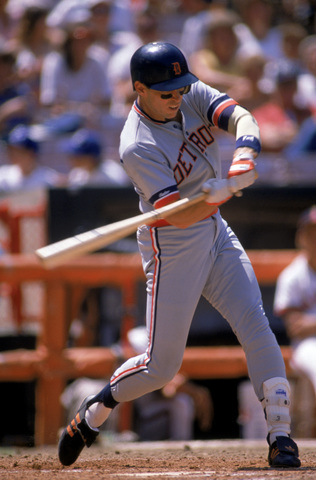 Larkin and Trammell are basically the same player, and in a higher offensive class than Concepcion and Omar Vizquel, who appears on this year’s Hall ballot for the first time. Alan Trammell's induction into the Hall of Fame could hurt Dave Concepcion's chances, John Erardi thinks. (Stephen Dunn/Getty Images). I don’t think Vizquel will make it into the 40 percent range this year, and maybe not even into the 30s. Concepcion’s highest total was 17 percent in his fifth year on the ballot. Vizquel outshone him in Gold Gloves, 11 to five (again, Concepcion had the misfortune of playing in the same league as Ozzie). I was impressed by the veterans’ committee’s ability to elect anybody. Their last electee was Ron Santo in 2012, the same year Larkin was voted in by the writers in his third try. How much of the success of this year’s committee had to do with the presence of Reds owner Bob Castellini, I don’t know, but I’d like to think considerable, giving his proven abilities to marshal thought and unite competing factions. I was not a supporter of Jack Morris’ candidacy, believing that too much of it was wrapped up in his having pitched one great game -- a truly great game, I grant you -- an extra-inning shutout by the Twins ace over the Braves’ John Smoltz in Game Seven of the 1991 World Series. But I have to say I was pleased by the intimidating Morris’ reaction last Monday to the news that he’d been elected. “He balled like a baby,” reported MLB.com Reds writer Mark Sheldon, just in from baseball’s winter meetings in Orlando. I love the Baseball Hall of Fame for a lot of reasons, but the biggest one is that it seems to matter to people more than all the other sports halls of fames combined. People care about it intensely, even people who don’t harbor a casual interest in baseball. I think it’s because even as baseball has taken a backseat to other sports in TV viewing, its Hall of Fame is still revered as a holdover from when baseball really was the national pastime. The Reds have had a strong, sustained presence in Cooperstown, especially in the past quarter century since Johnny Bench was elected in 1989. Just before Ken Griffey Jr. was enshrined in late July 2016, I wrote a column in this space predicting that the Reds wouldn’t have another Hall of Famer for at least 30 years. As though on cue, the 32-year-old Joey Votto went on a tear, producing one of the great second halves in baseball history, and continuing that tear into this past season when he finished second to Giancarlo Stanton in the National League Most Valuable Player voting. In two weeks I will write a column in this space examining Votto’s Hall of Fame chances, comparing his stats to those of the nine players for whom I voted and the four I expect to be elected by the writers this year. John Erardi has covered the Reds since 1985, and reported from Cooperstown on the enshrinement weekends of Johnny Bench (1989), Joe Morgan (1990), Tony Perez-Sparky Anderson-Bid McPhee-Marty Brennaman (2000), Barry Larkin (2012) and Ken Griffey Jr. (2016).